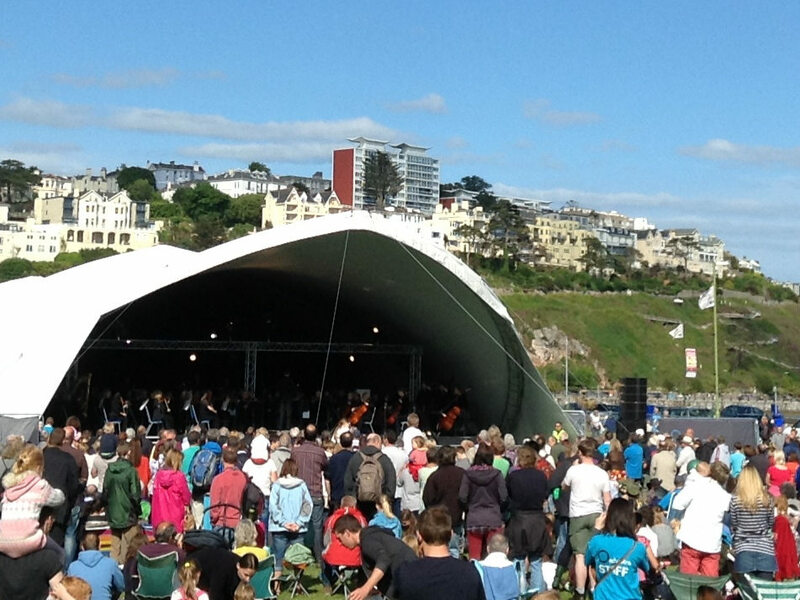 The Philharmonia Orchestra approached JR Event Services Ltd to assist them in the Event Management and Event Safety for their South West Tour of England incorporating the iOrchestra, Re-Rite and MusicLab elements for public interaction and education. Liaison with the three venues was critical to making the event a success. The three venues were Plymouth City Centre, Torquay Torre Abbey Meadows and Truro City Centre. All represent challenges for the team in terms of installing the DuoSpan or clearspan tent systems and creating enough space for the finale of each install which was a free open-air concert. The team from JR Event Services worked closely with each of the supporting Councils to ensure that the system is built and managed appropriately and with the minimum of disruption for adjacent businesses and residents. The specification requires over 22 vehicular movements per venue so project planning and logistics management were central to the needs of the project. When the Philharmonia turned iOrchestra into Virtual Orchestra, they again contacted JRES to continue their role as event safety consultants for their 2018 locations – Leicester and Bedford. The temporary structures in Riverside Square which housed the installation in Bedford, juxtaposing with the old-bank building environs of the ISKCON Centre in Leicester provided perfect locations for the JRES to show their skill and diversity in the field of event safety.